The Bell is my favourite of the 5 I’ve read. I think it’s a great place for people to start with Murdoch. Interesting, it does seem to be a big favourite for people. Any particular reasons why? I agree it’s a good introduction to IM. I probably read it 6-8 years ago, so it’s hard for me to say exactly why I loved it. Compared to The Sea, The Sea (my 2nd favourite), I think it felt more compact and the characters were more immediately sympathetic. I remember a gentle air of creepiness. That all makes sense, thank you! There’s no real time limit; I’m just happy if people are reading IM! Link to my review post in your review (or to the main page) and I’ll pick it up and add it here. 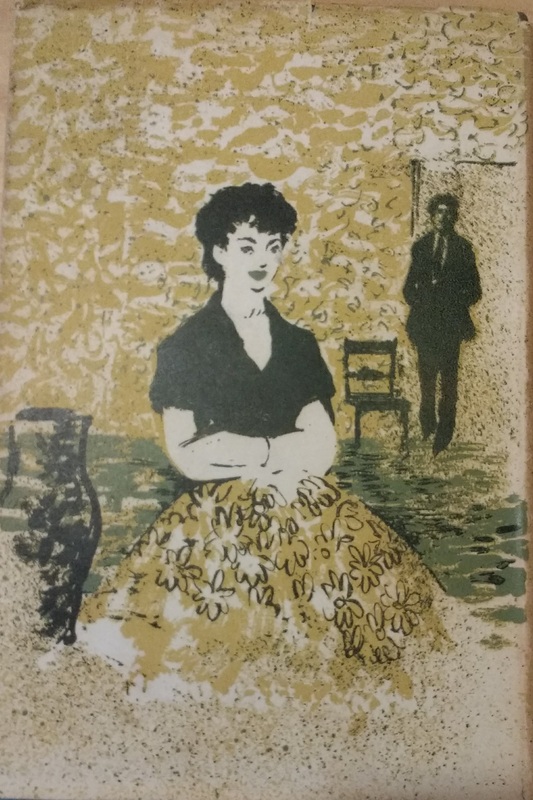 Lovely first edition. I probably remember The Bell the best though I have read A Severed Head and The Sea,The Sea twice all the others I’ve read just once. It’s cute, isn’t it, and nice it’s the same artist as for “The Sandcastle”. I remember you enjoying this and I think it’s a favourite for lots of people. I love The Bell and am currently rereading it. It was the fist IM I read over 30 years ago. It is a wonderful example what I love most about Muroch, which is her skill at making complex, conflicted, messy and even frustrating characters, not only relatable, but loveable. It is the implausibility and “weirdness” that the Penquin blurb seems to allude to that most makes it ring true. What a lovely take on it, and yes, I agree wholeheartedly – is this also why there’s no one quite like IM, I wonder? It was an early one of mine, I think. My review should go up mid-month; do keep an eye out for it and I hope you’ll be able to contribute to the discussion! Even though I’m woefully behind with the readalong (I’m halfway through The Flight from the Enchanter) I love reading it knowing that I have a small behind the scenes, cheersquad supporting me, who I can turn to for a book chat when I finally do finish. Glad to see your’re enthusiasm for IM is unabated by the latest reread. This was such a lovely comment to read and indeed, just look at everyone else’s comments and reviews if you need to and join in on my mid-month reviews as you finish the books – I’ll read your reviews, reply to them and link to them in my round-ups whenever you get there. Happy reading, and yes, indeed, I’m glad I still love her although I’ve been reading her from age 14 to 46 so far so I think she’s got me! 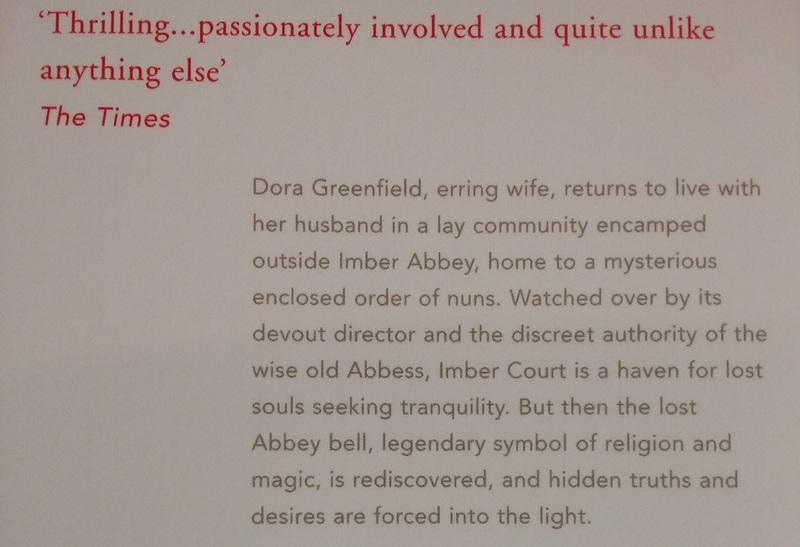 The outside of the hardcover is lovely (and, yes, a rather excellent nun, indeed) but the inside blurb doesn’t necessarily describe a book that I would think I’d like to read. Nonetheless, I have enjoyed The Bell, although it was more than ten years ago, and, really, I remember very little. It read quickly and easily and perhaps that did not aid in the remembering, ironically! It’s a very odd blurb, isn’t it, and I’m not sure I would want to, either. I don’t think I read the blurbs at all when I first read her: I just bought all that I could find then picked them up in pb as they came out. I know this one best, because of using it for my research, but I’m sure I’ll still find new things in it! A Severed Head and The Word Child are my favourites, so clever and wickedly funny. I have yet to read The Sandcastle. I love those two, too. The Sandcastle is a tiny bit more traditional but has some great set pieces. 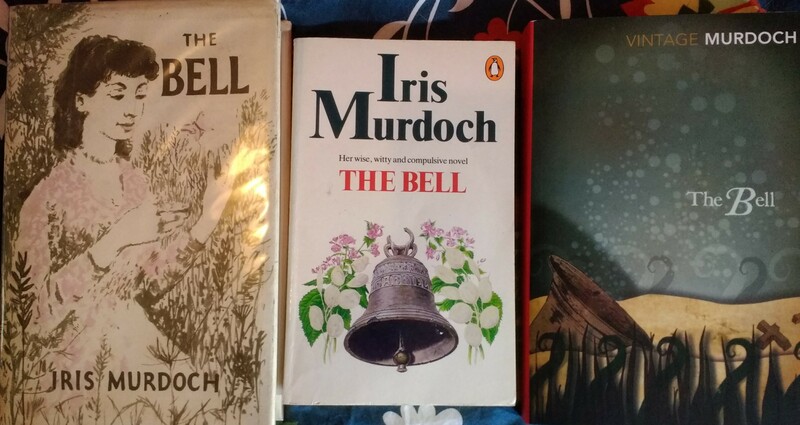 I have enjoyed re-reading The Bell after a long gap and lots more Murdoch in between. It is a very powerful novel I was suprised by how much it is a work of realism, after the earlier novels. While like The Sandcastle it is has a more conventional structure, it is more about spirituality and religion whereas The Sandcastle has elements of magic. It is a jolly good story and I really liked being in the company of Dora. I agree with Robert Edgar Wallace above: it certainly is ‘complex, conflicted, messy’. It is also funny. 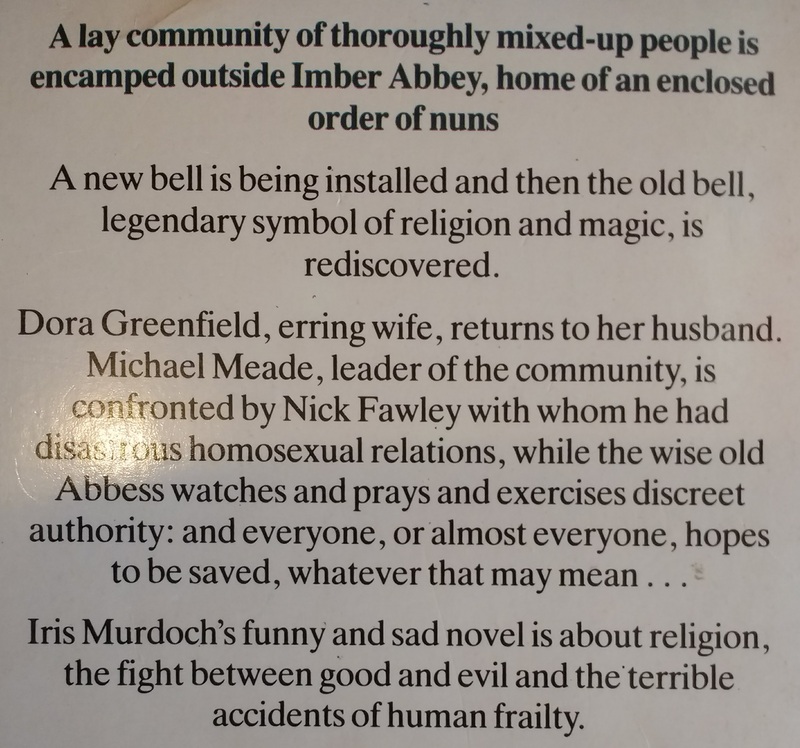 There are some very amusing observations about the varous residents of the community and Noel the raffish journalist. I loved the swimming nun and there is slapstick in the attempts ot manoevre the bell and the visit of Bishop for the ceremony. But at the same time it is about a search for the way to live a good life, and about the difficulty of loving others. However what stuck with me on this reading was the creation of Michael. Murdoch showed you him from within, and he is a flawed and uncertain human being. But at the same time, from the responses of other characters, he has charisma and power and Murdoch shows how destructive this can be. .Various people fall under his spell in various ways, not only Nick, but also Toby (who is like a puppy and open to all new experiences); Catherine falls in love with him and loses her vocation and her health: Dora also blossoms when in his company:all who are in contact with him seem to be affected by him and both Catherine and Nick are destroyed by him. Toby seems to recover from his advances as a rite of passage, Dora grows into herself. Michael affects all but he is lonely and is not shown as exploiting his power. Obviously we read about the relationship between the adolescent Nick and Michael with our twenty-first century awareness of child abuse,and to the modern reader, he may be beyond any redemption. But this is a very complex novel and despite its realism I am always aware I am reading a story about human beings, and certainly do not feel I need to make judgement. So, after all my ramblings, I hope others enjoyed the Bell and whether you did or not I look forward to hearing othe thoughts. And now – there is The Severed Head to look forward to! 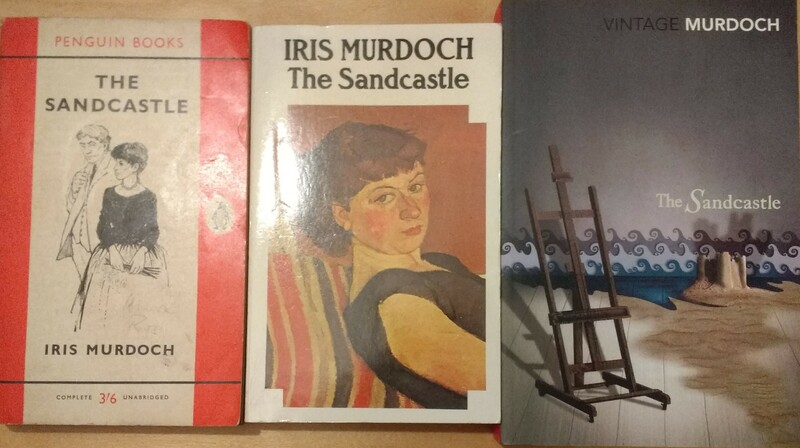 Thank you for your comments, which I saved until I had written my own review (which is her https://librofulltime.wordpress.com/2018/02/23/book-review-iris-murdoch-the-bell/ ) I agree with all you say and I forgot to write about the jolly bishop, always exhibiting such patience! The modern readers I had read the book did indeed place Michael beyond redemption, but I don’t find it as clear-cut as that, although I have shifted my allegiances a little. I’m looking forward to A Severed Head, too, and I’m going to start it on Thursday!